Marie K. Pence, 88, 10200 Scott Rd., Sidney, Ohio died at Wilson Memorial Hospital on Thursday, July 12, 2007 at 11:18 AM. She was born October 19, 1918 in Ft. Loramie, Ohio the daughter of Joseph and Anna (Koch) Zumberge. She was married on June 2, 1948 to Carl Pence in St. Patrick, Ohio and he died July 3, 1978. Surviving are five children, Mary Ann Pence of Sidney; Charles and Lin Pence of Sidney: Kathleen and Jeff Longbrake of Bowling Green, Ohio; Carol and Bern Nagenast of Anna, Ohio; and Jeanette and William Stallworth of Marion, Ohio; 11 grandchildren, Megan Coates, C. J. Pence, John Pence, Sarah, Emily, and Katelin Longbrake, Tatyana, Anne, and Therese Nagengast and Audrey and Ryan Stallwroth; 2 step grandchilren, Greg Maury and Melissa Stallworth and 4 step-great grandchildren and sisters-in-law, Irma Pence and Grace Pence. A brother, Nicholas Zumberge and a sister, Margaret Broerman and a grandson, Zachary Pence preceded her in death. Mrs. Pence was a graduate of Minster High School and attended business college for one year. 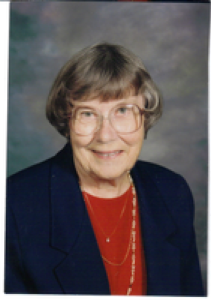 She was a homemaker, a member of Holy Angels Catholic Church and a member of Schoenstat. A Mass of Christian Burial will be held on Tuesday, July 17, 2007 at 10:30 AM at Holy Angels Catholic Church with Rev. Patrick McMullen. Burial will be at Pearl Cemetery, Swanders, Ohio. Friends may call on Monday, July 16, 2007 from 4-8 PM at Salm-McGill and Tangeman Funeral Home. A Schoenstat prayer service will be held at 7:45 PM. Memorial contributions may be made to Wilson Hospice, 915 W. Michigan St., Sidney, Ohio 45365; Holy Angels Catholic Church Repair and Maintainence Fund, 324 S. Ohio Ave., Sidney, Ohio 45365 or the Schoenstat of Ohio. Envelopes will also be available at the the funeral home.